In November, we wrote about problems sellers had after Etsy rolled out a new billing system. One of the problems was related to currency issues for international fees, which you can read about in this AuctionBytes Blog post from November 2018. Etsy addressed questions about the new billing system on this thread in early November, but sellers say the problem is still ongoing and say they haven't received a refund or credit for the overcharges, despite emails from Etsy promising to extend a refund credit "in early 2019." "We plan to credit Payment accounts in early 2019 for any transaction fee charges greater than 5% of the sale amount in respective Payment account currencies." But that appears to be the same response Etsy sent sellers in January (per a post by an EcommerceBytes reader). The billing overages involved currency conversion as well as VAT and GST, and untangling the mess might be difficult not only for sellers, but for Etsy. Are you still experiencing problems? What kind of impact is this having - annoyance or cash flow issues? Some attorney is going to wake up and smell the coffee and make a small fortune on it if Etsy does not get out in front of these issues very quickly. Sort of OFF TOPIC, but speaking of ETSY stealing $$ via incorrect collection of VAT, Duty, Exchange Rates from sellers, what became of last month's scandal whereby ETSY over a Holiday Weekend seemed to be randomly ''Stealing'' funds from seller's bank account and/or Credit Card for MORE than they owed, all the way UP to doing so to sellers who OWED $0.00 ? Is there no whistle blower with some clout. This is a pretty big deal. Then they owe me a BOATLOAD at 3% per transaction. C'MON ! Baby needs a NEW CAR ! "We plan to...." What kind of Weasel-Speak is that? Sounds like something straight out of eBay's playbook. I personally "plan to" do a lot of things, but that doesn't actually mean any of them will get done. And I'm guessing Etsy is "planning to" drag their collective feet as long as they can until, as Maxmad points out, it's been completely forgotten or the Statue of Limitations has run. I was promised a refund in December for the New Year and never received. The csv that Etsy produce is 'mind boggling' and it takes ages of precious time to try and analyse the figures, especially if one is not an accountant. It is so easy for Etsy to say what is left is mine but that is a nonsense as I have to work out everything for my UK tax figures. This is just one of MANY examples of how this corrupt organization has been kicking its international sellers in the teeth for some time now. they also kick US sellers in the face. they overcharged my account a few times by 10.00 and never refunded. they never responded to my questions and complaints about this neither. when you charge a fee for an egg , then up their phony list of fees , call that egg food and charge you that fee the second time , what do you call that. THEFT- twice on the same d@mn egg! 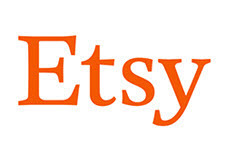 New York, where Etsy is headquartered, is one of the most corrupt states in the USA. We are over taxed, over regulated and governed by a bunch of corrupt thieves who never saw a dollar they didn't want to get their greedy hands on. We have a hyper active attorney general who's spending all their time on going after Trump. Meanwhile, the residents and taxpayers are getting ripped off by companies like Etsy and nothing is done. Of course what's most important is not protecting consumers but making sure they squeeze out every penny of sales tax. I am still waiting for the refund, but more importantly, waiting for them to fix the system that all these months later is STILL overcharging. Indeed, what happened to the tens of thousands of dollars that were pulled from sellers bank accounts and credit cards??? Well, "early spring 2019" will end in a couple of weeks. Hurr, Etsy! Typical level of "service" provided by H1Bs. They'll do it over and over and over and over and maybe someday get it a little less wrong. Don't hold your breath though. One of these days, if a salesman REALLY gets angry, it's going to hurt Etsy badly. Etsy thinks he is INTOUCHABLE because he is on the stock market? A good lawyer could do it very very badly: robbery, fraud, abuse of funds .... etc. By dint of taking us for CONS, we will wake up and use all means necessary to send Etsy to the court of judgment! Not only has Etsy not refunded as promised. It is STILL overcharging sellers outside the USA. How can they issue any proper refunds, while they can't or won't fix what is wrong? Why no replies on their own forums, to the numerious threads about this same topic? So far there are so many many questions and virtually no response from the site. And no one seems to be able to hold them accountable. All we are asking for is fair and honest treatment. And so far we've had zilch.